2 / 3 — A crew works to install a grease interceptor. 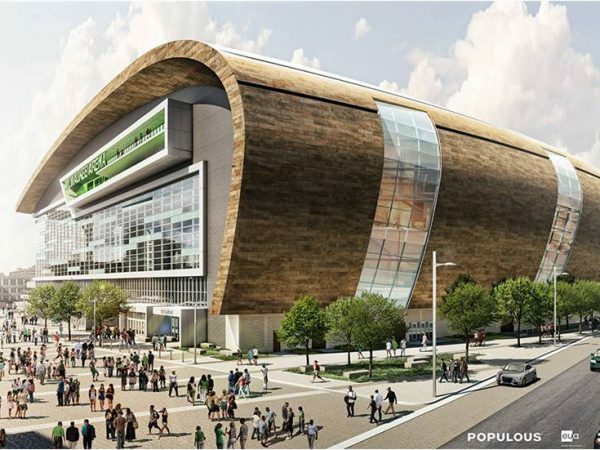 3 / 3 — Milwaukee Bucks released rendering of the new multi-purpose arena. The opportunity for Hooper to be a part of a state of the art arena, home to not only the Milwaukee Bucks, but countless other sports and entertainment events is very exciting. This arena will feature a bowl optimized for basketball viewing that will also be used for hockey games and ice events, family shows, circuses, concerts, and open-floor exhibitions. There will be a more efficient seating pattern and open and transparent concourses. Hooper plumbing crews are installing the complete plumbing system for the arena including all gas piping, carbon dioxide piping, and therapy pools in the 714,000 square foot arena. Crews will also install an underground temporary gas system to heat the building over the next two winters. This system will carry a BTU (British thermal unit) of 30.2 million. 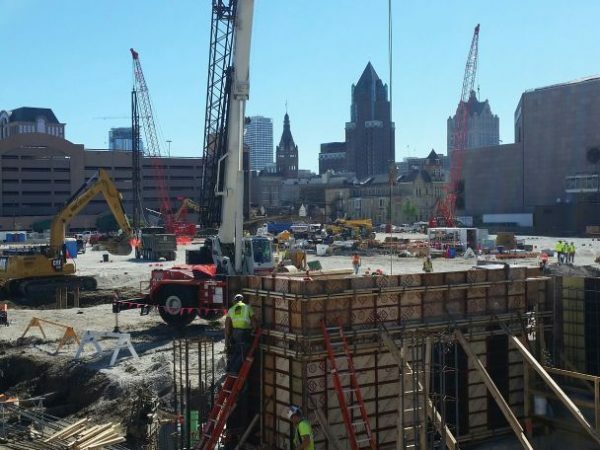 The Milwaukee Bucks have made it a priority that the Milwaukee community be involved in the construction of this project. This means a large portion of the workforce will come from the surrounding area and minority or disadvantaged businesses are involved. Hooper Corporation has made a commitment with M.A. Mortenson (general contractor) and the Milwaukee Bucks that 40% of our workforce and materials are locally sourced and minority or disadvantaged approved. 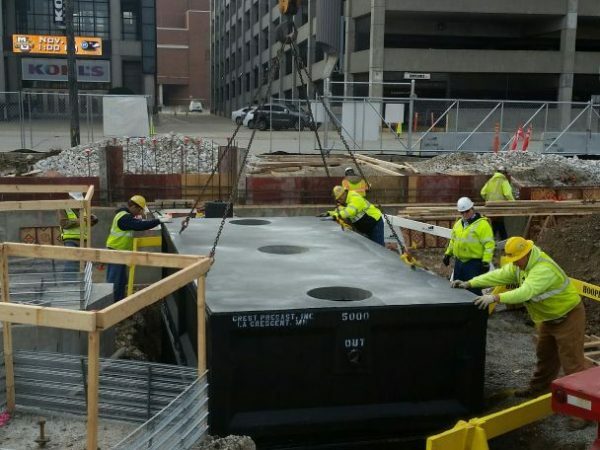 In order to overcome the fast paced construction schedule, Hooper must utilize and rely heavily on the BIM (building information modeling) department to coordinate with all trades and integrate local Milwaukee staff. The plumbing department’s experience with large projects and a team that works efficiently and effectively with new field staff and other trades makes a difference as well.